So you are pretty confident you are able to hear the beat when a salsa song comes on, but you have noticed that some salsa dancers seem to be dancing at a different beat than what you would choose. Or you have been asked if you dance "On 1" or "On 2" and got totally confused with the terminology. 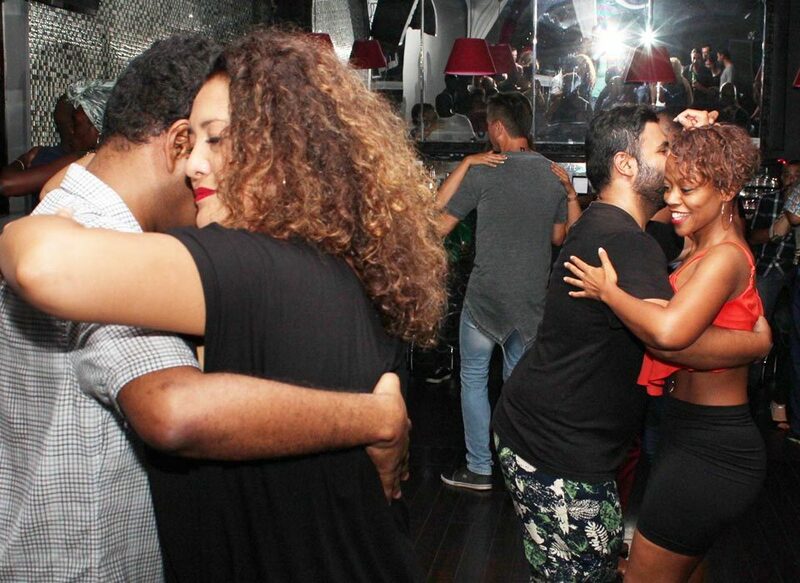 Here is a guide to the different ways of timing salsa dancing with the music. 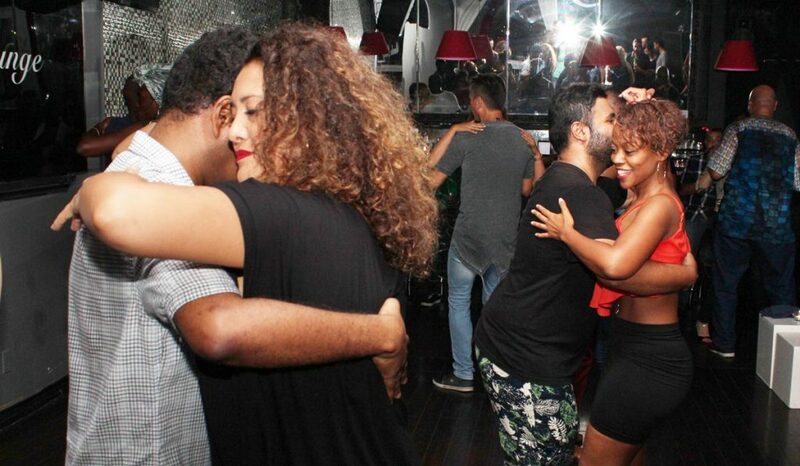 Some will be more (or less) popular in the Toronto dance salsa scene, and which one you end up choosing depends on your personal preference, the particular song that is playing, your partner rhythmic ability or preference, etc. Dancing on Rumba Timing / A Tiempo de Rumba / "On 1"
The dancer will look for the first beat of the musical bar (the set of 8 beats that repeat) to match with the beginning of their rock step, where directions are being changed. The dancers will execute a quick-quick-slow rhythmic pattern when using this timing, with the change of direction (the rock step) being done in the quick-quick portion. It is commonly used in Cuban, Colombian and LA styles of salsa. 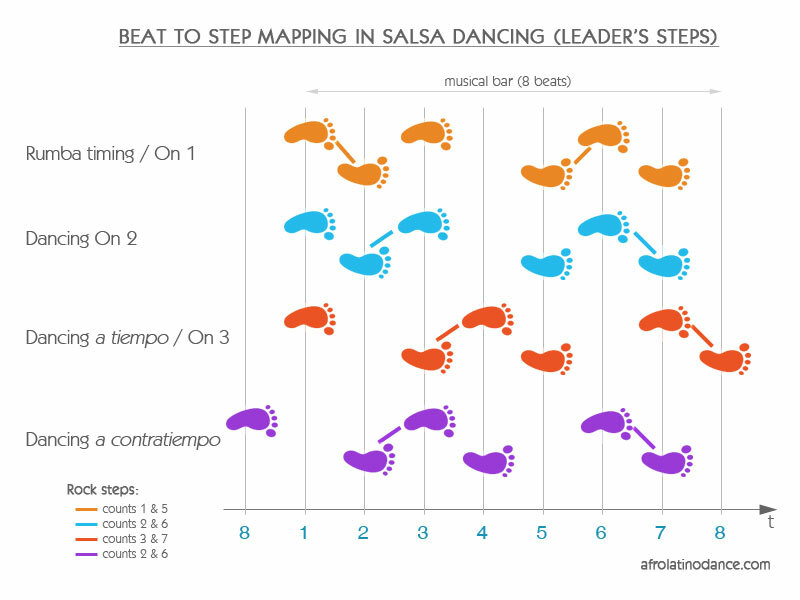 Out of all the different ways of mapping the beat in salsa music to one's steps, dancing on rumba timing (how it is known in Cuba) or "On 1"/ On1 as it is known in North America, is probably the easiest for beginner salsa dancers. In our Cuban salsa lessons Toronto we teach exclusively using this timing up until Salsa Improvers level where we introduce other timings. The dancer uses the first beat of the musical bar to start the step but will execute a slow-quick-quick rhythmic pattern, with the change of directions (the rock step) still being execute on the quick-quick portion (counts 3 and 7). It is commonly used in Cuban style salsa, as well as in other Latin American countries in various salsa/cumbia hybrid styles. 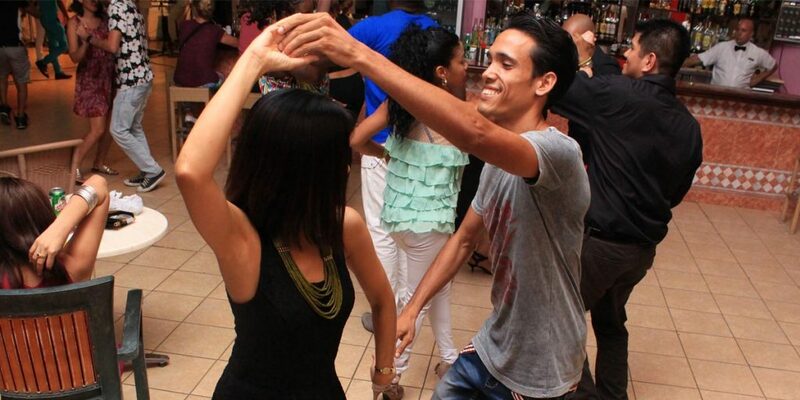 In Cuba this timing is called dancing “a tiempo”, on the down beat of the music, which would be equivalent to calling it dancing “on 3” when using North American terminology. Contratiempo refers to the upbeats of the music, as the dancers will need to emphasize the counts 4 and 8, in addition to rocking or changing direction on counts 2 and 6. Dancing on contratiempo precedes salsa as it is the most commonly used time for Danzón, Son and Cha Cha Cha. It follows a slow-quick-quick rhythmic pattern with the first step on each half of a basic step being on the upbeat. Dancing on contratiempo is popular in Cuba amongst salsa dancers that are versatile in Son, and other dances, and often dancers would switch timing within the same song, to represent the different sections a salsa or timba song may have. Dancing “On 2” is a timing style created by Eddie Torres in New York City and generally associated with NY-style salsa dancing. It follows a quick-quick-slow rhythmic pattern but it has the change of direction (rock step) being execute on quick-slow portion (counts 2 and 6). It requires therefore the leader to do the rock back step on count 2 (hence the name “On 2”/ On2), coinciding with the slap sound of the conga’s tumbao rhythm.